By its title, this book presents itself as a guide to argue effectively. It doesn’t take long however, to discover the true intent of the author, which is to—by no means of persuasion—tell you of the many flaws of liberalism. I waited patiently for the author to use an example where conservatism has gone astray but there was no such instance. I’m no expert in debate, but aren’t you supposed to be able to argue your opponent’s position? This is an opinion piece. 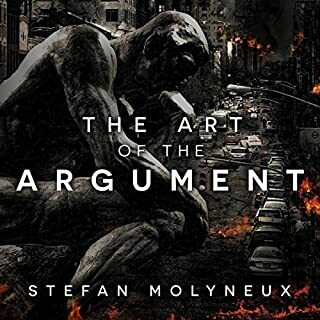 Many times throughout this book, I felt as though someone were ranting at me, sprinkling in the word “argument” as a means to defend the title. I finished the book, mostly because I was amused at how far the author would take his rant. He did not relent and instead of learning how to argue, I learned how much this man despises liberal principles.